Sarah McLachlan - Vocals on "What Is This Love", "Dark Angel", "Know Where You Go"
& "Tell Me Your Dream"
Piano on "Dark Angel" & "Tell Me Your Dream"
Anne Bourne - Cello on "What Is This Love" & "English Bay". Vocals on "Cynthia"
Colin Linden - Guitar on "Tell Me Your Dream"
"Til I Gain Control Again" published by Jolly Cheeks Music BMI. 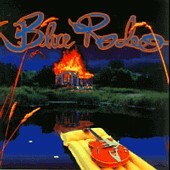 Copyright 1993 Blue Rodeo Productions. All Rights Reserved. Used with Permission.